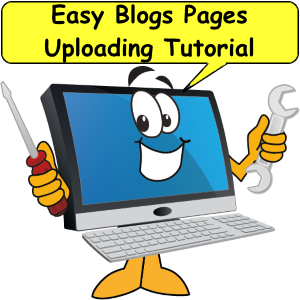 Easy Blogs Pages Tutorial learn how to setup and cofigure a blog platform on your website. 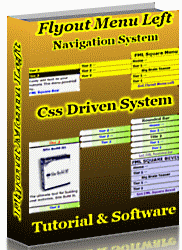 This Easy Blogs page SBI Rss Tutorial is meant to clarify which pages are generated by the Easy Blogs software. 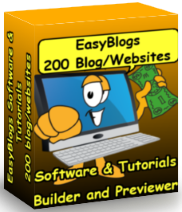 So that you become familiar with the contents of your EasyBlogs2 folder that is stored on your computer. Note: If you don't know how to navigate your computer to find these folders, please refer to Appendix I : How To Navigate Your Computer & Find Your Pages For Uploading in the manual. It is important that you become very familiar with the contents of your blog folder since you will be generating new pages month after month. 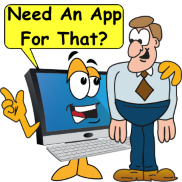 It is important to understand your file management system early on to work effectively later on. First, I will explain what pages may be in your blog folder the minute you finish setting up your blog according to the initial set up of your blog and then expand upon these pages for those using categories in their blog. UPDATE>>>There are 2 different sets of pages that will be generated depending upon whether you are using categories in your blog or not. If you decide you do want to use the articles page, you can use it in a couple of different ways than just as an article index page. Please see the Articles-Howto tutorial for more information on how to use the articles page in your blog. PLUS when you set up your categories, a page is created for EACH category. Hopefully you followed my suggestion in the tutorial, "How To Set Up Categories On Your Blog" and named your category pages with the word, 'category' at the beginning of the page name. Note: the tutorial says that the word 'category' should begin your category file names. However I think it is unnecessary and might be better to leave it off. My testing shows the keyword 'category' is not highly searched. So it is probably better to give your categories realistic name. Example: Tools, Design, and Support. 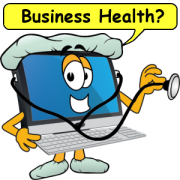 NOTE: The software always generates the articles pages EVERY TIME the blog is published and the Easy Blogs page (s) are re-generated even if you do not plan on using this page. If you do not plan on using the 'articles.html' page then re-upload this page everytime you add an article to your news blog. Q. Which pages do you RE-upload to your website and when? If you chose to include categories, then you will have more to upload that those using option A. Plus, you will need to RE-upload each of your category pages. If you renamed them with the word, 'category' at the front of the file name, then they will be easy to spot at every RE-upload. Remember, these category pages update every time you add an entry so you want to be sure to re-upload them too! Q: When new Easy Blogs page (s) made? If you chose monthly as I suggested in Step 3 of "TUTORIAL II : Setting Up Your News Blog," then with the first entry that you make of a new month, a new page is generated. NOW, if you add an entry and you are still in the current month (or week) then, new archive pages are NOT created. Instead, the current month (or week) page is updated with the new information (i.e. your new entry) which means that you don't have to go through the process of uploading your pages as you did in the 2 tutorials: "TUTORIAL IV : Uploading Your News Blog Pages" and "TUTORIAL V: Uploading Your RSS (xml) Page." But, you DO have to RE-upload pages. NOTE: You upload a NEW Page....you RE-upload pages that you have already uploaded once into Site Central using the "Upload Your Own HTML Page" button. The 2 tutorials in the manual called TUTORIAL IV : Uploading Your News Blog Pages & TUTORIAL V: Uploading Your RSS (xml) Page are about UPLOADING NEW PAGES. 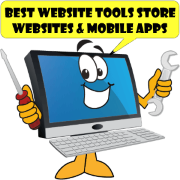 *Category users will also RE-upload the category index page and ALL category pages as well. At the beginning of a new month, you will have a new page to upload. To upload a NEW page, you use the "Upload Your Own HTML Page" button. Note: You will use either "Quick Re-upload It!" or "XML It!" 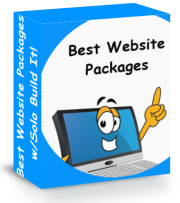 for RE-uploading Easy Blogs pages that are already on your website including HTML pages and the RSS/XML page depending upon whether you started your blog before or after XML It! was added to SBI. If you started by using "XML It!," then remain using "XML It!". If you started by using "Quick Re-Upload It," then remain using "Quick Re-upload It!". A. 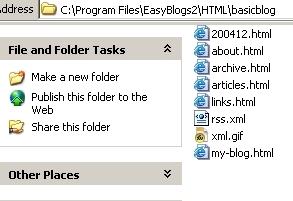 If the url for your Easy Blogs generated xml file (called rss.xml) looks like this: "http://www.your-sbi-site.com/support-files/rss.xml"
Then, you can still use Quick ReuploadIt to re-upload your rss.xml file. In fact, you must use Quick Re-uploadIt as you cannot use XML It! B. If the url for your Easy Blogs generated xml file (called rss.xml) looks like this: "http://www.your-sbi-site.com/rss.xml"
Then, you MUST use XML It to re-upload the file whenever it is updated. Quick Re-uploadIt will NOT work for you anymore so please, please, get used to using XML It from now on whenever and at all times that you have updated your rss/xml file. Q. What page can I NOT re-upload each month? You DO NOT have to re-upload last month's monthly page(s) nor do you have to re-upload article or static pages (unless you've made changes to them). Q. Do we have to upload the xml page during the month or only at the beginning of the month? A. You have to upload the xml page each time you make an entry. If you don't do this, then the RSS feeds pulling your entries will not show the latest entries. See above for clarification on this. Q. What is the page in my Easy Blogs folder with the string of numbers? A. The software generates a numeric number for each monthly (or weekly or daily - depending on how you set up the Basic Options for "Frequency of pages" in Tutorial II) page. Monthly pages are numbered with the year first and month second. Ex: Dec is 201712. Weekly pages are numbered with year first, month next and then whether it is week 1 or 2 or 3,etc. Q. 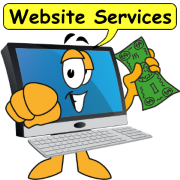 What is the articles.html Easy Blogs page and what do I put on it? A. If you choose to use the articles page that the software generates whether you want it to you want it to or not (see above), then you have a couple of choices on what to put on the articles page. See the Articles-Howto tutorial for more information. Q. 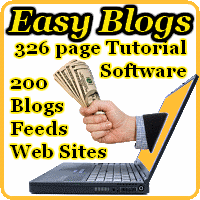 What is a static Easy Blogs page? Static pages are used to build a list of links that show up in the navigation menu of your blog pages. See this static pages tutorial for how to do this. Q. What are the other Easy Blogs pages that can be generated and how do I use them? Did you notice that when you go to create a new entry, you have the choice of creating the following pages? Please use the links below for more information about these pages. Read everything above to understand what pages get generated when you create a blog entry and what to do with them. Read this tutorial about the articles page. Static pages are added to the menu structure if so programmed. They are useful for linking to specific page(s) i.e. home, policy, about, category, archive, etc..
Hidden pages DO NOT show in the menu structure. 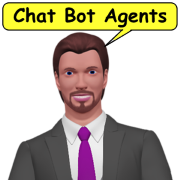 These are useful for 'thank you' and 'download' and other pages you want to not be included in Google or other search engines. That wraps up Easy Blogs page SBI Rss Tutorial. To get the full tutorial look here.